What is Calgel (Lidocaine HCL/Cetylpyridinium Chloride) used for? 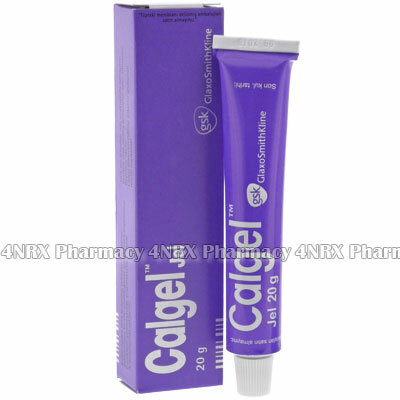 Calgel (Lidocaine HCL/Cetylpyridinium Chloride) is an oral gel used to treat pain caused by teething in infants. It contains a combination of an antiseptic medication and an anaesthetic medication that work together to eliminate bacteria and fungus cells while preventing the transmission of pain signals to the brain to reduce discomfort. Your doctor may also recommend the use of this medication for the treatment of other unlisted conditions. How should I use Calgel (Lidocaine HCL/Cetylpyridinium Chloride)? Always follow your doctor`s instructions while using Calgel (Lidocaine HCL/Cetylpyridinium Chloride) to get the safest and most effective results from treatment. The gel may be used one to six times each day as needed, but the best directions will be determined by the patient`s age, weight, current health, and symptom severity. To apply the gel wash your hands to remove any dirt or contaminants, put a small amount of medication onto a finger, and gently massage it into the infant`s gums. Thoroughly wash your hands using soap and water following each application to prevent the medication from contacting your own skin or mucous membranes. Ask your pharmacist or doctor any questions you have about using the medicine to ensure the correct administration. What are the side effects of Calgel (Lidocaine HCL/Cetylpyridinium Chloride)? Stop using the medication and contact your doctor immediately if any serious or worrying side effects such as severe diarrhoea, intense vomiting, faintness, or signs of an allergic reaction such as skin rashes, swelling, or difficulty breathing. These conditions may require reduced application frequency or immediate medical attention in serious cases to prevent any more complications from occurring. Calgel (Lidocaine HCL/Cetylpyridinium Chloride) should not be used to treat babies under three months old, that are fructose intolerant, allergic to its contents, or that have had a bad reaction to similar treatments in the past. Do not apply the medication to skin that is broken or severely damaged. Do not continue using medication if the symptoms being treated do not improve or deteriorate. Strictly use Calgel (Lidocaine HCL/Cetylpyridinium Chloride) as prescribed and follow all instructions provided by your doctor. Safe, suitable, and optimum dosage can vary and is dependent on the patient`s health and medical history, as well as the condition you are treating. Calgel (Lidocaine HCL/Cetylpyridinium Chloride) may not be safe or suitable for all patients. Always ensure your doctor is informed if you are pregnant or breastfeeding, using any other type of medication (including non-prescription medicine, vitamins, and supplements), as well as if you have any allergies, other illnesses, or pre-existing medication conditions.